European Parliament commissions City Law School academics to publish report on Standard Essential Patents and the Internet of Things (IoT). Dr Luke McDonagh and Dr Enrico Bonadio have co-authored an in-depth analysis commissioned by the European Parliament’s Policy Department for Citizen’s Rights and Constitutional Affairs. 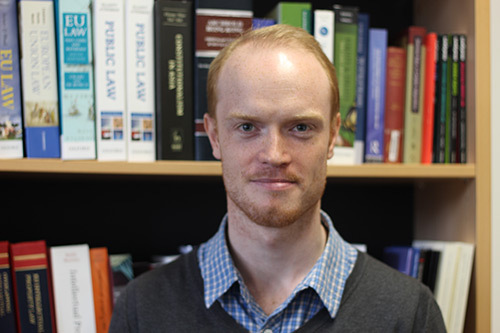 Senior Lecturers in the City Law School, Dr Luke McDonagh and Dr Enrico Bonadio, have co-authored an in-depth analysis titled Standard Essential Patents and the Internet of Things, commissioned by the European Parliament’s Policy Department for Citizen’s Rights and Constitutional Affairs. Standard Essential Patents (SEPs) are vital in ensuring the interoperability of standards such as 5G and Wi-Fi, for instance. 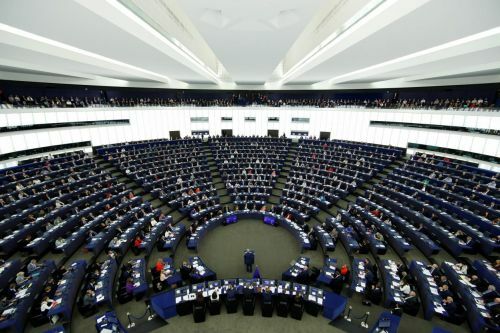 This is particularly important, as Dr McDonagh recently explained on the floor of the European Parliament, for manufacturing companies in the areas of “product substitutability and economies of scale”. Though traditionally associated with information and communication technologies, SEPs have now become an important part of the Internet of Things (IoT), Big Data, consumer electronics and in-car electronics in the automotive industry. The authors’ in-depth analysis assesses the European Commission of (EC) Communication of 29 November 2017 on the EU approach to Standard Essential Patents. It examines the principles identified in the Communication with respect to the Commission’s proposals on (i) increasing transparency on SEPs; (ii) determining valuation of SEPs and FRAND ( Fair, Reasonable, and Non-Discriminatory) terms; and (iii) enforcement. The report evaluates the efficient resolution of licensing disputes over FRAND, including litigation, arbitration and mediation, licensing pools and collective licensing, and puts forward policy recommendations to inter alia, enhance the general environment of FRAND licensing in the context of SEPs. To read the analysis prepared by Dr McDonagh and Dr Bonadio, please visit this weblink.